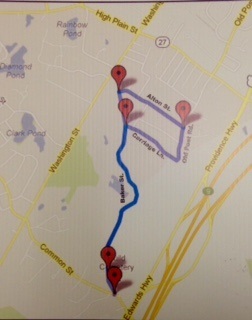 This is HESSCO's 8th Annual St. Patrick's 5K held at Mick Morgan's Irish Pub on the Sharon/Walpole line. A beautiful race route, fun venue, awesome long sleeve tech T-shirts and a spirited St. Patrick's Day celebration are just some of the reasons this race has become so popular! OUR favorite reason is that all proceeds from this race go directly to support HESSCO programs and services! Join us on March 16th and help us continue our mission of delivering over 130,000 Meals on Wheels each year, providing homemaking and home health aide services, advocating for residents in nursing facilities, counseling Medicare recipients on health insurance options and protecting our seniors from neglect and abuse. In past years, the event has drawn upwards of 800 runners. This year's event promises to be another fun-filled, festive morning of celebration. Participants and spectators are encouraged to come adorned in their St. Patrick's Day best! Since 1977, HESSCO has been supporting the needs of elders, people living with a disability and their caregivers in South Norfolk County. For more information on HESSCO's programs and services, please visit www.hessco.org or call 781-784-4944. Sponsorships available! 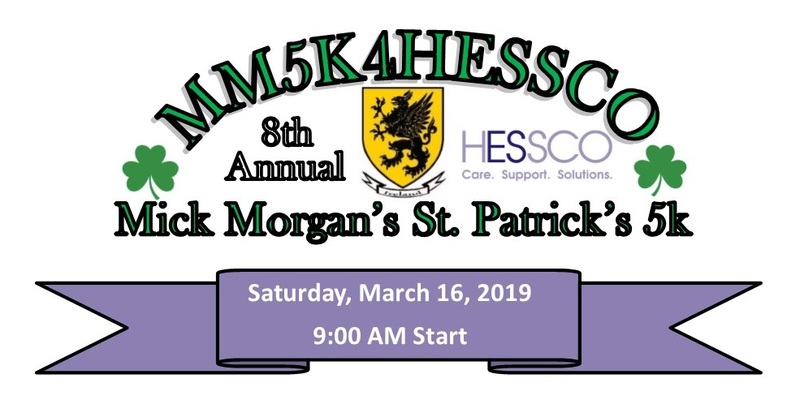 By sponsoring the Annual St. Patrick’s 5K for HESSCO, you will not only be promoting your company/agency, but you can feel good knowing that you are rallying around this great cause and helping HESSCO to continue our mission of delivering meals to those who have difficulty making their own, providing homemaking and home health aide services to those in need, advocating for residents in nursing facilities, counseling Medicare recipients on health insurance options and protecting our seniors from neglect and abuse. Visit our website for more information www.hessco.org. Long-sleeve. performance tech T-shirts are included in the registration fee for the first 300 paid registrants. Bib numbers and bags can be picked up on Friday, March 15, 2019 from 4:00 PM to 7:00 PM at Mick Morgan's Irish Pub. Day of race registration begins at 8:00 AM with a 9:00 AM start time. Parking is limited. Please consider carpooling the day of the race. The three main parking areas will be the office building at 1600 Boston Providence Highway, Senior Aerospace Metal Bellows 1075 Boston Providence Highway (both on Route One South past Mick Morgan's), and Jarvis Farm 691 Common Street, Walpole. Shuttle buses will be available from the Senior Aerospace lot. We invite you to create your own fundraising page to raise funds to support HESSCO! You will be provided with directions on how/where to create your personal page after you register for the event. Or, you can visit our website for more information www.hessco.org. Top fundraisers can earn prizes and runner swag! Please enter me in the Mick Morgan’s Annual St. Patrick’s 5K Road Race. I understand that no refunds will be given for any reason, including but not limited to weather. I agree to assume all responsibility for all risk of damage or injury to me as a participant in this event. I hereby, for myself, my heirs, executors and administrators, release and discharge Mick Morgan’s Restaurant and Irish Pub and their affiliates, HESSCO Elder Services, EconoLodge Sharon their affiliates and subsidiaries, and their respective officers, directors and employees; sponsors, coordinating groups and any and all other individuals, entities, and organizations associated with the race from all claims, damages, rights of action, present or future, whether the same be known, anticipated, or unanticipated resulting from or arising out of, or in incident to, my participation in the event. I hereby certify that I will not participate in the Mick Morgan’s Annual St. Patrick’s 5K Road Race unless I am physically fit and sufficiently trained for competition in the race. I grant full permission to any and all the foregoing to use my likeness in all media, including photographs, recordings, my story or any other record of this even for any legitimate purpose. I understand that dogs/animals, bicycles, skateboards, roller skates, or blades, and radio headsets are not allowed in the race and I abide by this guideline.